Lock in a great price for Pensión Iturriza – rated 9.3 by recent guests! The location was perfect!! The host was so kind and helpful. He told us all the places to go eat and visit. He even told us the best dishes to order at each place. The room was clean, quiet and a great size. We will definitely stay there again if we go back! Location was excellent. Very clean. Owners are fantastic. New modern amenities in historic building. The owners were very friendly and helpful. The location was perfect for going to the beach, walking to the two small mountains, and eating at all the best pintxo bars. Even though it was right in the middle of all the fun, it was very quiet at night. The owner is wonderful. He spent lots of individual time telling us about the area and the province and his advice was excellent. You aren't booking this motel for luxury but for price and location. It was a great surprise to see the small 12X12 maybe room so totally adequate. Everything was clean, neat, needed, and necessary. It was so convenient. I would recommend this facility to anyone wanting what you need at a good price and interesting set up. The hosts were absolutely fantastic. The place was the perfect location and the room was wonderful. Hosts told us everywhere to eat, where to shop, where to visit and we loved all of their suggestions. 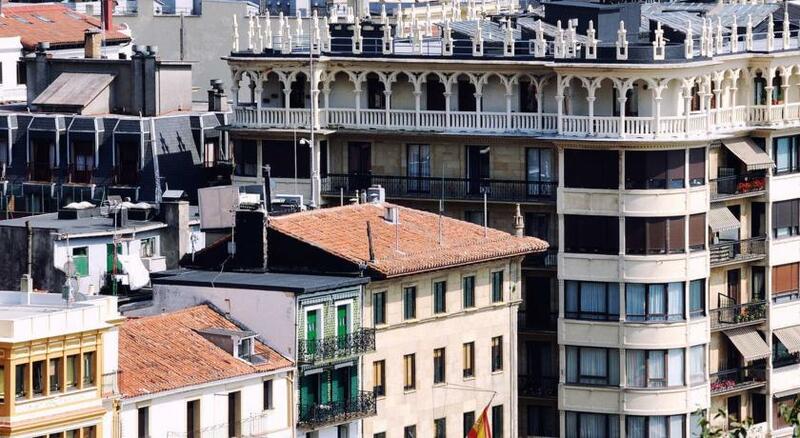 Staying here is what made our visit to San Sebastián so incredible. Stop shopping around and book your room here! Beautiful room with large bed and great shower. Located near most attractions and stores. Walking distance to beach or the large hill and castle. Nice 20 minute walk from bus station. It is in a fabulous location and the room is clean and comfortable. The staff were helpful and ensured that every question was answered. Pensión Iturriza This rating is a reflection of how the property compares to the industry standard when it comes to price, facilities and services available. It's based on a self-evaluation by the property. Use this rating to help choose your stay! 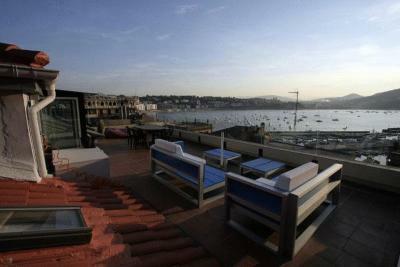 Pensión Iturriza offers modern accommodations in San Sebastian’s Old Town, beside the seafront promenade and Town Hall. 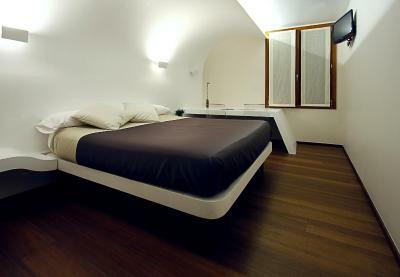 It offers minimalist-style rooms with free WiFi, flat-screen TVs and parquet floors. All of the rooms at the Pensión Iturriza come with heating, air conditioning, soundproofing and a private bathroom with a large shower. There is an elevator in the building. 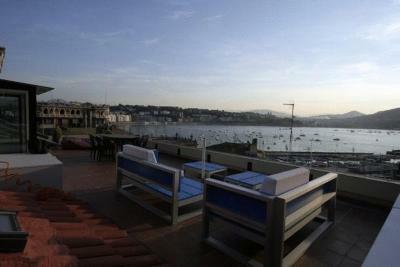 Iturriza also offers a two-bedroom apartment which has a furnished terrace and fantastic views of the bay. Tourist information is available on site at the Iturriza. It is less than 350 feet from the Plaza de la Constitución, a 10-minute walk from the Aquarium, and near the Santa Cruz de la Mota Castle. The Kursaal Conference Center is around 350 feet away. 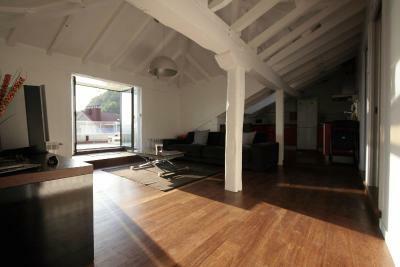 뀐 Located in the top-rated area in San Sebastián, this property has an excellent location score of 9.8! 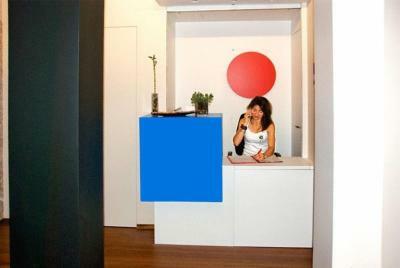 When would you like to stay at Pensión Iturriza? This room offers 1 double bed. This room offers 1 double bed for single occupancy. Featuring a private terrace and fantastic views of the bar, this apartment has 1 double room and 1 room with pull-out beds. Please note that the apartment is located on the 6th floor of the building and there is a elevator up to the 5th floor. This room features 1 double bed. House Rules Pensión Iturriza takes special requests – add in the next step! Pensión Iturriza accepts these cards and reserves the right to temporarily hold an amount prior to arrival. Please note that a person can check you in from 12:00 to 14:00 and from 17:00 to 21:00. From 14:00 to 17:00 and from 21:00 to 00:00, guests can do an automatic check-in. After 00:00, you are advised to consult the property in advance. Please inform Pensión Iturriza of your expected arrival time in advance. You can use the Special Requests box when booking, or contact the property directly using the contact details in your confirmation. 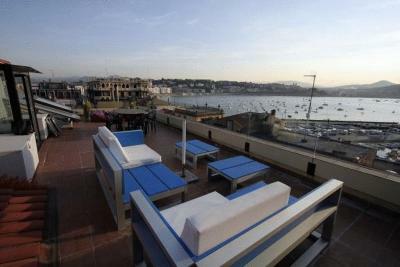 There is a roof top terrace, however I wasn’t allowed to access it. This was disappointing to hear as it was a contributing factor to booking the pension! Very helpful and friendly staff, and excellent quiet location. 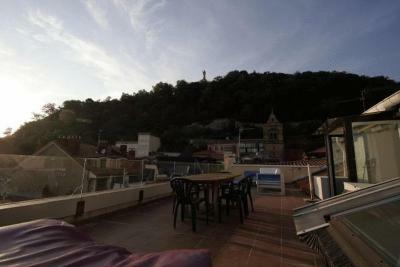 Great location, right in the middle of Barrio Viejo but very quiet. The owner, Ibon, is just the perfect host! Our sheets/room smelled like smoke when we arrived but the owners changed the sheets which helped! They offered a different room the second night. Their amazing hospitality made up for this minor issue that is common in many hotels in Europe. The owners were extremely friendly and helpful! Very much the location with this property. 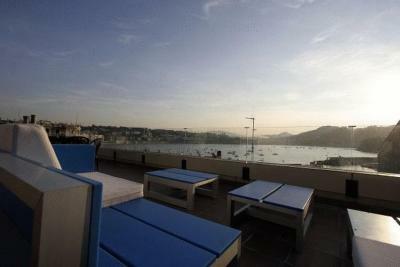 In a quiet street in the beautiful old town with superb access to beach front. There isn’t a single thing I did not like. Modern decor, clean, nice bathrooms in room and comfy beds. Only slight criticism is that photos show a terrace with ocean view that is actually specific to the private apartment upstairs. Not a major issue but we booked thinking it was available for all to share. Highly recommend. Great location in old town close to waterfront. Hosts are not onsite all the time but are very friendly and helpful, particularly with restaurant advice and tips. They are also contactable by phone at any time. 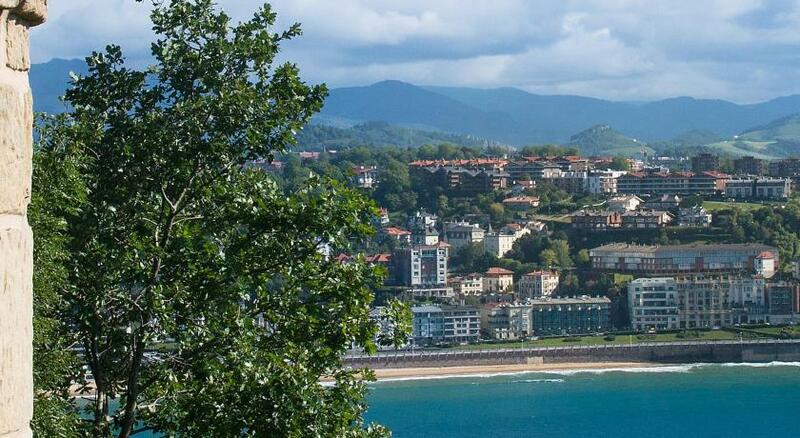 The perfect place to explore San Sebastian. Would definitely return. Because this is a Pensione they are not available at all times for check-in, so I am not complaining about that, but for others you have to be aware. There is an intercom facility whereby they let you in and then go up in a lift to the main reception room. There lies the problem I found...all rooms come directly off this area, so any comings and goings are plainly heard. I was also woken at 03:00 one night by a lot of what sounded like door banging. They disputed that and said it may have been youngsters in the street below going home! Yes this is a narrow thoroughfare surrounded by late night establishments. This is the downside of such a central location and one you have to decide on the trade off. Location is top drawer! Right in the old town close to hundreds of tapas bars and restaurants. Hostess went to great trouble to outline all that San Sebastion has for the tourist. Huge bed was really comfortable. They ordered me a taxi for my onward journey as well. When checking out at the very early morning, no one is at the reception desk with no prior explanation how to deal with the key cards, which made us a bit confusing. In addition, the room's sun-shade is simple and some light continued to enter the room throughout the night. This hostel is located on the path next to one of the most popular street, but the room is really quiet and convenient to walk around the historical district. The room is quite a simple but good enough since a water-sever is equipped in front of the room and amenities are available at the near groceries or Carrefour.